01.03.2015. Dublin, Ireland. 6 Nations International Rubgy Championship. Ireland versus England. 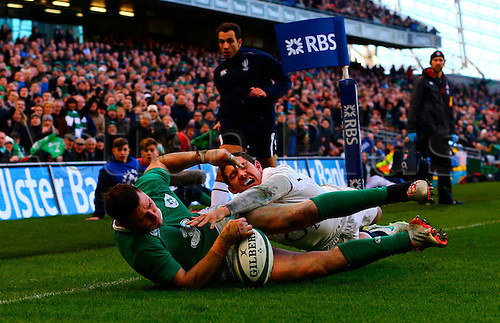 Robbie Henshaw (Ireland) grounds the ball to score a try despite the close attention of Alex Goode (England).